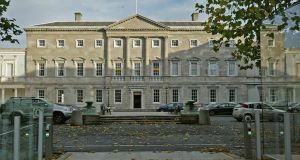 A new survey reveals 17% of TDs use public transport to commute to the Dáil. The research shows seven in 10 deputies would like to see increased investment in public transport with 16% in favour of making it cheaper. The Newstalk survey found that when asked about their own commute, 78% of TDs said they drove to work, 17% used the bus, Luas or train. It also found just 4% cycled to work. The survey is part of a Newstalk series examining the lives of commuters across the country. It was carried out by Newstalk researchers from October 23 to October 31, with all 156 TDs sent the survey. Of the 156 TDs, 99 TDs responded recording a response rate of 63%. Previous Post:Henna The Beautiful Art Of Making Money – Henna Courses and Mehndi Courses Online.